When I saw this chair I knew it would be perfect to paint. 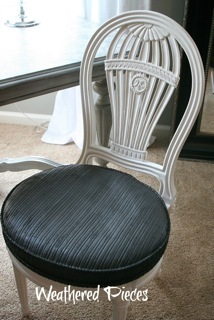 I loved the style and the round upholstered seat. My intentions were to reupholster the seat but once I looked it over, I realized it would be more work harder than I thought. 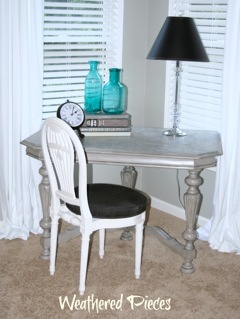 I had a fantastic desk and it needed a chair so I really wanted to finish this one quickly. I knew the fastest way was to paint the fabric. Everyone is so fascinated by painting fabric. It is so easy. I used American Paint Company’s Lincoln’s Hat, a true black. 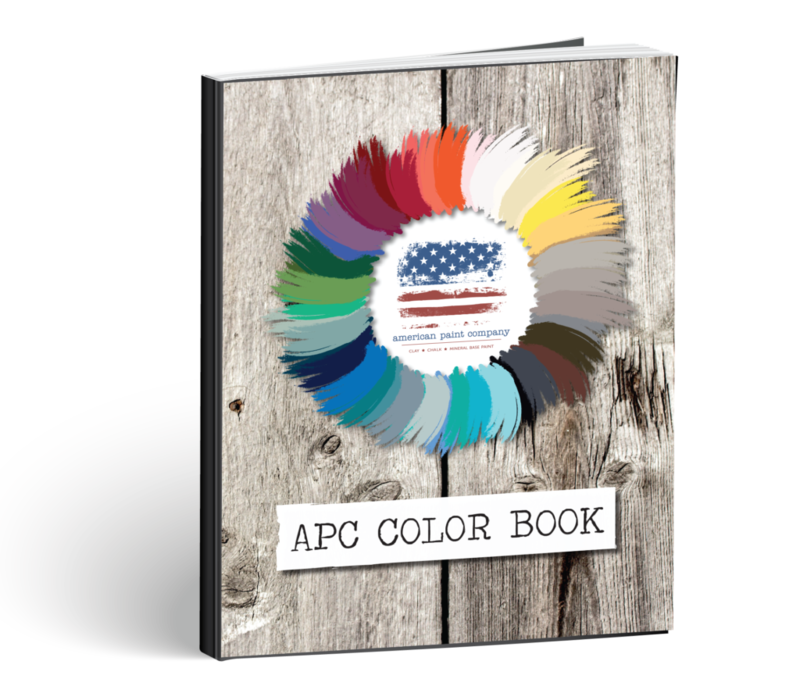 American Paint Company Paint is all natural, zero VOC, and eco-friendly. Safe to use in your home! I added some water to the paint, about 50/50. This paint is so thick! Adding the water helps the paint seep into the fabric so it doesn’t feel stiff and crunchy. 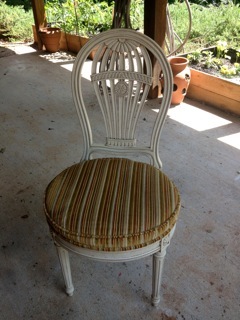 The frame of the chair was painted with American Paint Company’s Navajo White. A great white without being too white or too creamy. I was too lazy to remove the seat so I just taped off the frame when I painted the seat. I sealed the seat with two coats of Top Coat. The seat feels smooth without being stiff. It looks perfect with my desk! 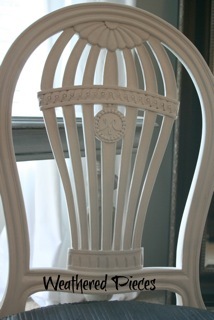 I love the frame on the back of the chair, it reminds me of a hot air balloon! Now I can finally start using my desk! 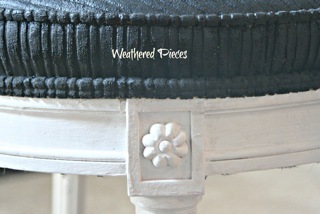 Post courtesy of Weathered Pieces. The back does look like a hot air balloon!! What an awesome job, looks great! 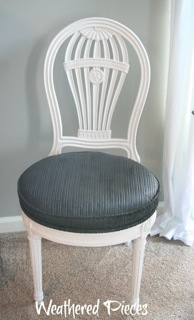 Such a pretty chair… love how it turned out and knowing the fabric remained soft! Thanks for the tips! Awesome! What was the top coat that you used? The clear Top Coat used is in the line as well by American Paint Company. 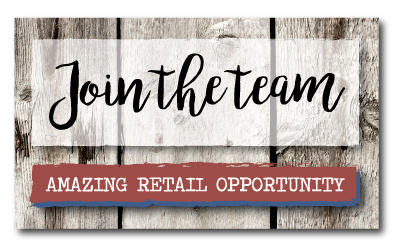 It is just simply called Top Coat and is a wonderful, natural product. 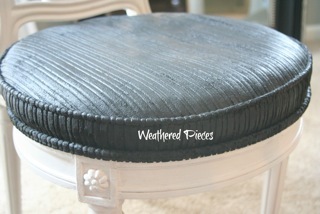 I have painted fabric upholstery quite often with great success! Usually will do this on an inexpensive (or free) piece so there is minimal loss if perchance it doesn’t work out! But I really have had no problems! I have not used a Top Coat but will have to research this! Thanks for the post! The chair looks great!